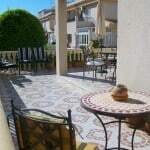 www.House-by-the-pool.com is in Playa Flamenca in the Orihuela Costa, Costa Blanca, Spain. 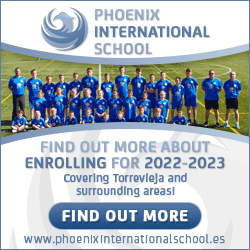 Approximately 45 minutes’ drive south of Alicante Airport and 20 minutes’ drive north of Murcia Airport. Sleeps 6-8 people. The fully air conditioned quad house is on a small residential community with two communal swimming pools. The terraces overlook one pool in a gated garden. It has 3 bedrooms, a shower room, a bathroom, large lounge diner and an American kitchen. The terrace has seating, tables and sun shade for enjoying a morning coffee or an evening glass of wine in the Spanish sunshine. Or why not enjoy a family barbecue? The ground floor has a twin bedroom and shower room. The master bedroom has a king size bed and private furnished balcony. Also on the first floor is a large twin room which can comfortably accommodate a third bed if required. The main bathroom is on this floor. Reached by an internal staircase is the furnished solarium with sea view. All rooms have air conditioning, ceiling fans and heating making it suitable for your summer holiday or winter sun holidays or even a weekend break. The location means that you are not dependent upon having a hire car as there are plenty of restaurants, bars and shops within walking distance. The local blue flag beaches are under a mile away and you can do your daily shopping at the excellent supermarket on your way back to your holiday villa. On Saturdays there is a very large street market nearby. La Zenia Boulevard shopping and leisure complex, boasting 150 shops, bars and restaurants plus play area, casino and bowling alley, is under 15 minutes’ walk from the house. For golf lovers there are 4 courses within 10 minutes’ drive of the house and more close by. The Mar Menor, famous for its mud baths and water sports is only 15 minutes’ drive south. The area inland from the house is arable farming, mainly citrus fruits and vegetable. 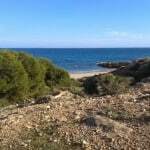 The historic city of Orihuela is 20km away and can be reached easily by car or bus.